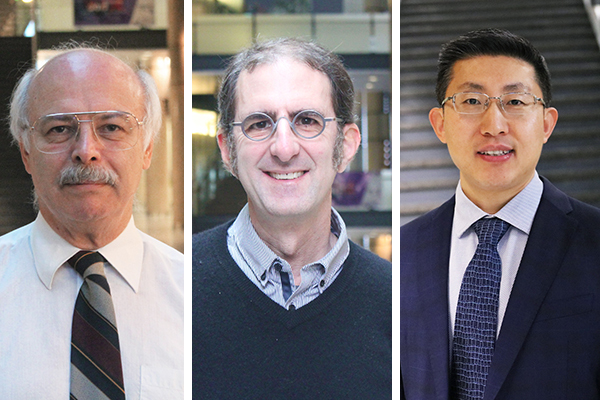 February 6, 2018 – MIE Professors Andreas Mandelis, David Steinman and Yu Sun are among nine U of T researchers sharing almost $820,000 in funding this year from the Connaught Innovation Award, aimed at accelerating the development of promising technologies and promoting knowledge transfer arising from the university. The internal award is made possible through the Connaught Fund, the largest internal university research-funding program in Canada. Since its creation in 1972 from the sale of the Connaught Laboratories, which produced vaccines, antitoxins and insulin after its discovery by U of T researchers Frederick Banting and Charles Best, the Connaught Fund has awarded more than $160 million to U of T scholars.